Have you ever wanted to change the world, to move it in another direction? That is what Jesus was about when He wanted to bring about the Kingdom of God. In this program, Fr. Mike talked about the Gospel of Mark, especially with regard to the Kingdom. When Mark speaks of the Kingdom, he means the world in which God is the direction of our lives. 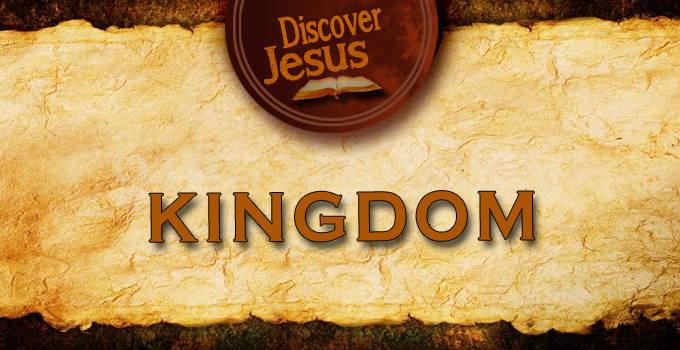 Watch DISCOVER JESUS: KINGDOM now by CLICKING HERE! You are invited to join us in our prayer room and add your petitions to ours as we celebrate the Mass. Click here and light a candle now. Amen! One Million hits all around the world and counting! You will be most pleasantly surprised! … we’ve got a small favor to ask. More people are logging on to our daily Apps (in English and Spanish) than ever, but far fewer are supporting them by a small donation. So you can see why we need to ask for your help. Wordnet's independent sharing of God's Word takes a lot of time, money and hard work to produce despite the fact that all presenters do it gratis. But we do it because we believe communicating the Word of God matters – because it might well be your belief too.